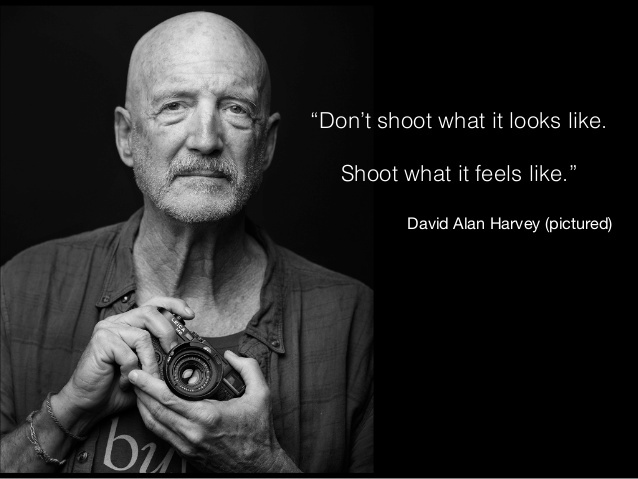 David Alan Harvey is an American photojournalist based in North Carolina and New York City. He’s been a full member of Magnum Photos since 1997.
davidalanharvey@c_e_g For sure don’t spend that much money on a new camera! Cameras don’t take pictures. Best invest is to put yourself on a good project. Use minimalist gear. Phone camera good enough.? davidalanharvey@vincentbgirard For large fine art prints a larger file or film is of course preferred. I’m using the GFX for this reason, shoot medium format film, and make darkroom prints for some collectors. Yet that isn’t what the discussion was about. Your work from what I see on IG anyway is mostly street photography and cd be done w the phone. I will say that at fine art print auctions I’ve seen everything from tintypes to Holga to Polaroids. But this started out as a chat about SEEING pictures in the first place. Have you seen Mike Brown book Libyan Sugar ? All shot w the iPhone 4!! In your case for sure you need to be thinking about what it is you are trying to say. Looking at your IG stream I would have no idea. No authorship or style or focus. Get that down and then choose whatever camera works best for you. Yet it still comes down to the PICTURE. A poor picture with hi res is still a poor picture. This entry was posted in Famous Leica Users, Uncategorized and tagged David Alan Harvey on July 25, 2017 by Leicaphila. Curiously, and perhaps coincidentally, there’s a thread on RFF about this. Alas, the ‘mentor’ has not yet made an appearance. That’s part of the reality that camera dealers don’t like to see mentioned; it seldom was all about the instrument. Sure, if you want to do pretty heads then you need a longer lens than if you want to shoot crowded rooms. But at online sizes, and even up to maybe A3+ on paper, you don’t have to invest a zillion bucks on hardware. Pretty much any modern combination of camera and lens of suitable focal length will do you well enough. As almost always in artistic expression, money isn’t the key to it; the key’s already within you or it is not. You may not be able to hire this year’s top model or jet off to the Seychelles, and even less likely both at the same time, but if you have this urge to express yourself, you can always find a way that’s possible within your situation. It may not epitomise your ideal, but it’s still worth the doing if it lets you keep active and interested. Poor dude got burned by DAH. Uff….I don’t know if I would’ve been able to bounce back from an unexpected Instagram portfolio critique from the great one. However, he’s right about the camera not being as important. I don’t think it’s an indictment of Leicas or gearheads per se, it’s simply a reminder to keep your eye on the obvious: it’s your photos that are important, the message they impart, and that has little to do with their technical qualities. If you remove yourself from the bubble most gearheads find themselves in, you realize what camera you use is irrelevant past a certain minimal threshold. And that minimal threshold is met by most smartphones these days. What we talk about on camera blogs like this is just vanity, fun to discuss, but of no practical consequence. What a great post and elegant summation with your comment. Just lovely all around. Enjoy the summer but please, don’t stay away too long! I don’t have a smartphone or cell phone cam. But if I did, I would most likely be shooting it. Generally speaking…it is the camera and not the photog. The general rule is…if the camera can do it and you can’t…it is on you. If the camera is not capable of doing something and you miss the shot because of the camera…then you may have an excuse. I get what DAH is saying in his critique and it’s very helpful to read it – however this little line is bugging me. A lot. The GFX is a digital camera not a film camera – so what exactly is he referring to here? How do you make “real” “honest” darkroom prints by using a GFX at any point in the process? When you shoot film you shoot “film”. If you are using digital cameras and want to make it look like film – fine. But I want to see some acknowledgement that the project was shot digitally but edited to look like film. I’m still reacting and feeling the anger I felt when I discovered Genesis (By Salgado) was not shot with film cameras. I looked at those amazing photos and the awesome compositions and at times I imagined Salgado freezing as he changed film backs or loaded another roll in his cameras. It was edited to look that way and printed to look that way and everything implied it was done that way. They made attempts to use film and darkroom techniques in the post processing – and they succeded in creating the right “look”. But it’s misleading. A big fat Canon digital logo should be on the front of Genesis. That would be more honest…. Why am I brining this up – because I don’t like the statement at the top of this reply. It suggests that more legendary photographers are willing to shoot in high quality digital – and make some post processing moves that allow them to produce darkroom prints from digital files. Let’s call that what it is – “simulated film prints”. They aren’t film – tell the truth. Btw – just to be clear I’m a gear head poser who likes looking at cameras and gear more than actually shooting them – so what. I’ll never be 1/1000 of a photographer as DAH is – but I still want to be told the truth at all times. DAH knows the GFX is a digital camera and one cannot print in a darkroom from a digital file. Read it again. It’s too choices. Digital or film. Film fine art is printed in the darkroom. We know that. Digital fine art is printed at the pro lab. We know that. Does it need to be said? I think their is a real lack of understanding of this article. The camera is “only” the thing in between the subject and what you are trying to say. DAH is saying, pick the one that suits this best. Leica or iPhone or GFX or 5D Mark Whatever. As long as it works. Honesty and Truth and Genesis. Go back and look at the work. Go back and look at all of Salgado’s work. If you are looking at whether or not is is film or digital, you are completely missing the work. And to be honest and truthful, that is sad.